Don’t quote me on it, but rumour has it that Artspace Sydney declined an invitation to be a part of the 2012 Biennale of Sydney, ‘All Our Relations’, because they were told which artists they would have to exhibit and how. 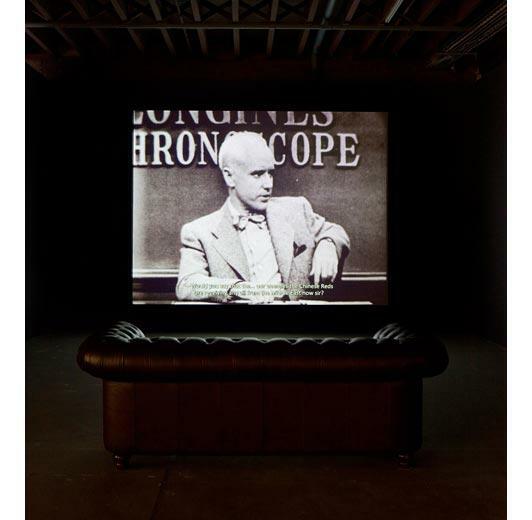 Instead of kowtowing to the self-perpetuating pseudo-participatory ‘relationality’ of a Biennale widely criticised for its lack of criticality and self-reflexion (1) , Artspace have mounted a frankly kick-arse exhibition, Everything Falls Apart. 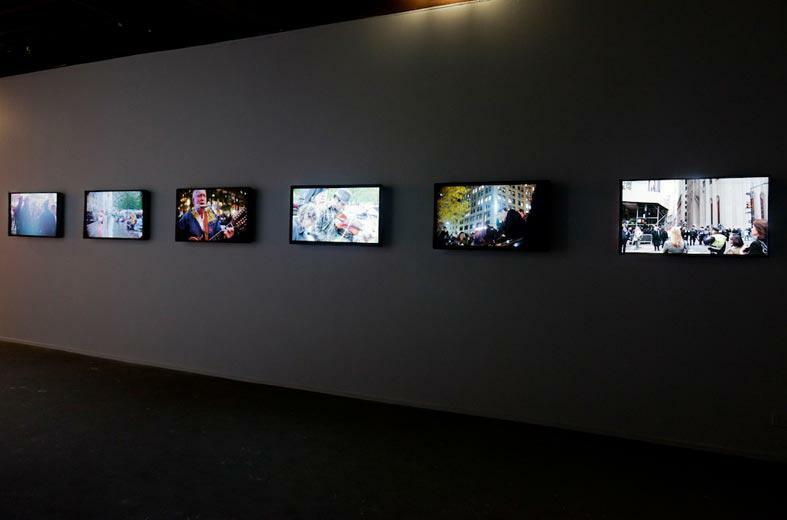 Artspace’s exhibition, though at no point making explicit reference to the Biennale, will occur over two parts, which together run for the precise duration of the Biennale (27 June through 16 September 2012). Moreover, the ostensibly pessimistic premise of Everything Falls Apart injects a healthy dose of doubt into the otherwise generally affirmative atmosphere of smoothing-over occurring in the context of Sydney’s present Biennale. hrases of protest out anew using permanent marker and a single, basic font on a standard brown cardboard. 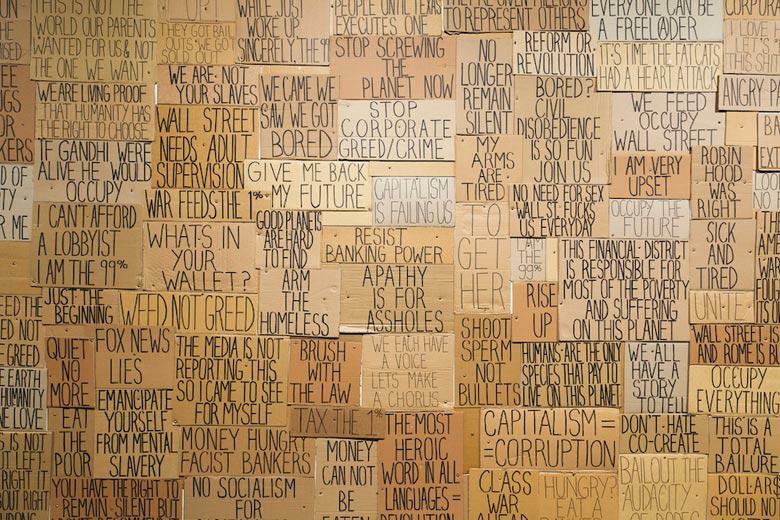 This renders the placards uniformly and wonderfully (though silently) emphatic; they become a sort of brooding force, a reminder of the injustices inherent in the current politico-economic system. At the same time, by the same move, they also appear generic, suggesting their individual messages reference more realistically a mass of unheard, disregarded - yet nonetheless lingering - claims, than a powerful political uprising (they have already entered the museum, as it were). The duality inherent here is reflected throughout the exhibition, which as a whole treats the collapse of political and ideological systems. The sense of optimism and possibility in many political projects is never comprehensive, curators Mark Feary and Blair French seem to suggest; the other side of the coin is quite dark and complex, and potentially rife with fascistic or imperialist undertones. 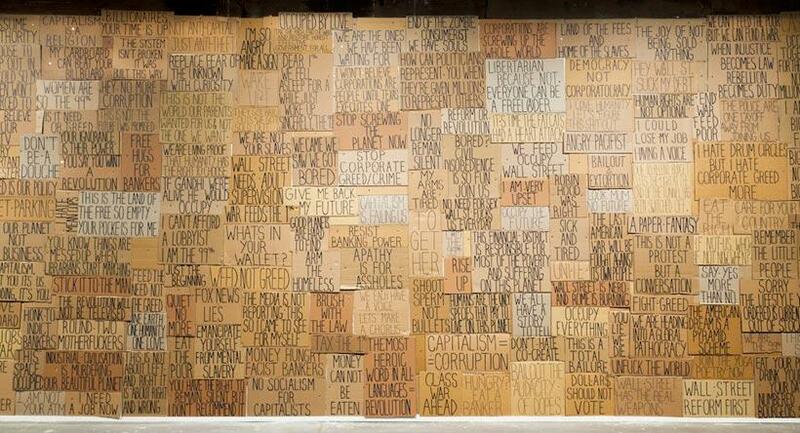 That said, Feary and French’s choice of artworks operate largely at the level of nuance. 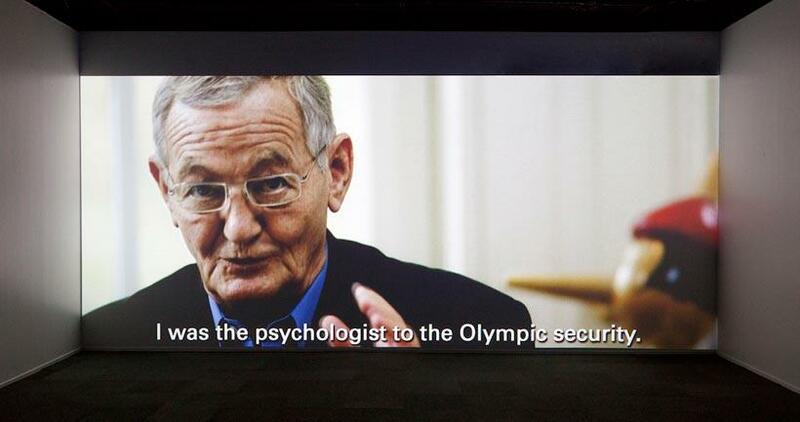 For example, New York-based artist Sarah Morris’ video 1972 (2008) is fundamentally a portrait of a former head psychologist of the Munich Police, Dr. Georg Sieber, who was in charge of creating systems for personnel to detect potential security threats during the Munich Olympics of 1972 (where infamously nine Israeli Olympians were held hostage and killed by eight Palestinian activists/terrorists, five of whom were killed by police). 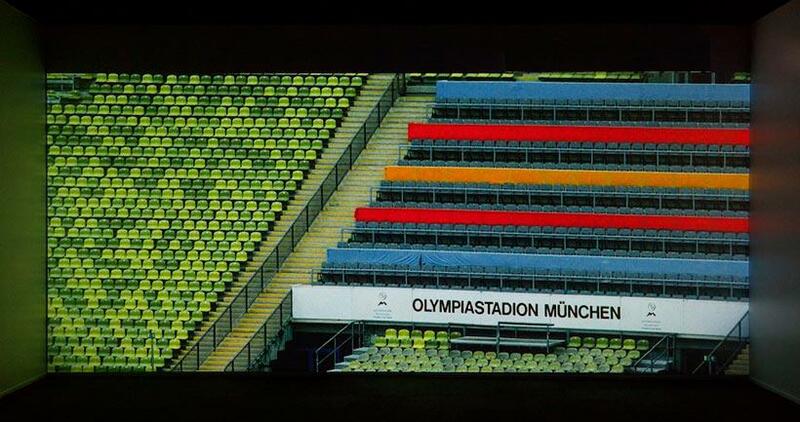 Through an in-depth but rather informal present-day interview with Sieber, expansive shots of various architectural forms in Munich, and archival police photographs and Olympic footage, Morris is able to conjure a sense of political and personal history interweaving. Certainly Sieber’s eerie prediction in his Olympic security training models of what eventually occurred in Munich is noteworthy, yet the most pervasive message that comes through in 1972 is the sense that there is never one version of political history and that the official one is not necessarily the most captivating, nor the most insightful. Similarly dealing in the disruption of official histories is Phil Collins with the video works marxism today (prologue) (2010) and use! value! exchange! (2010). The Germany-based artist explores the after-effects of the collapse of the German Democratic Republic (GDR), notably on those who were educated in Socialist Germany but who, after 1989, suddenly found themselves in Capitalist Germany. marxism today provides contemporary insight into how various people dealt with this transition, revealing the extent to which lives were shook up and offering an alternative perspective to the widely held belief that the GDR was oppressive, inhumane and little else. 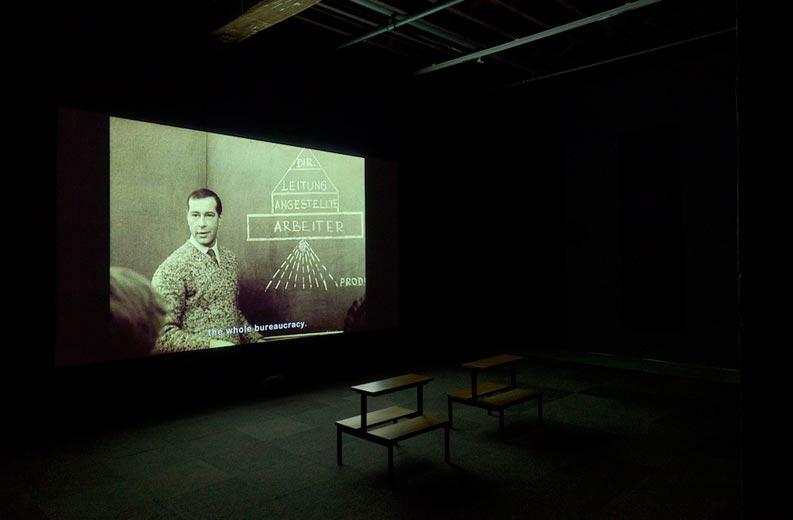 The people featured include an ex-Olympic gymnast and ex-schoolteachers of Marxism-Leninism (who subsequently became a matchmaker and a social worker respectively), interspersed with footage from Socialist times, including some from a 1960s high-school classroom discussing whether exploitation exists in West Germany. 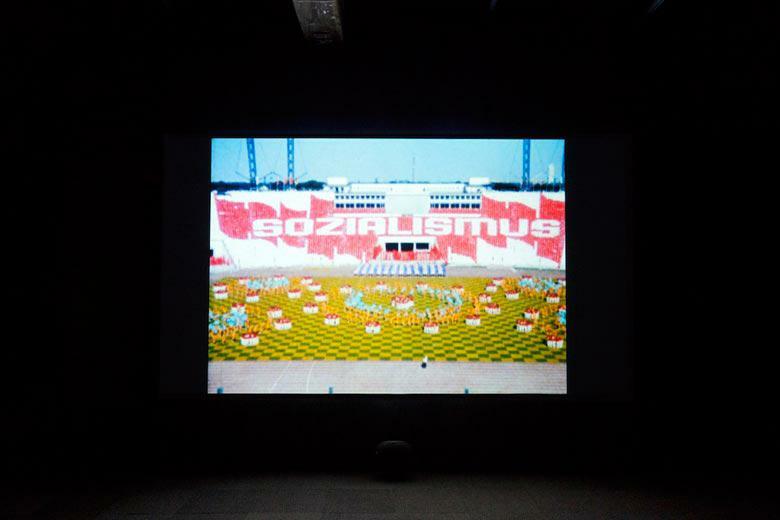 This is left poignantly open-ended but the nostalgic soundtrack and the emotional tone of the interviews, along with the often bright-coloured and idealistic archival imagery of Sozialismus allows Collins’ film to veer just close enough to romanticising socialism to make us aware of our own political consciousness (or lack thereof) - whether that be in terms of our sympathy, loathing, curiosity, ignorance or belief in Marxism as a political system. This is reinforced by use! value! 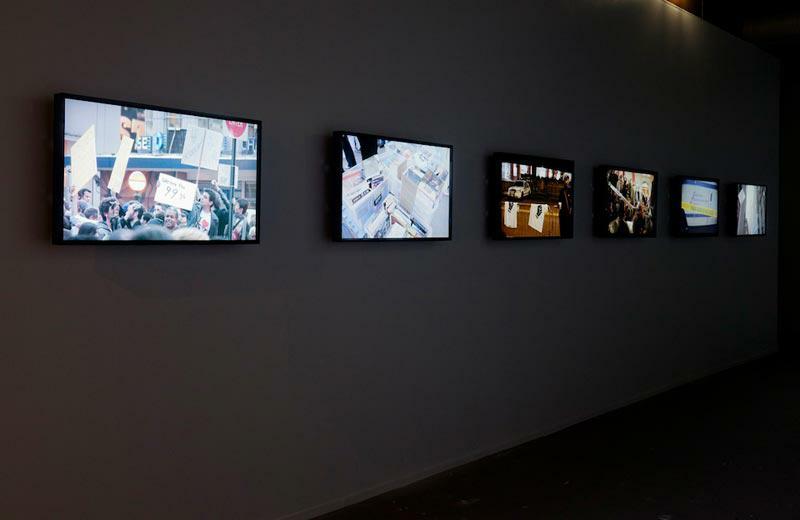 exchange!, exhibited spatially speaking as more or less a mirror image of marxism today, with small school desks installed for the viewer to sit at. 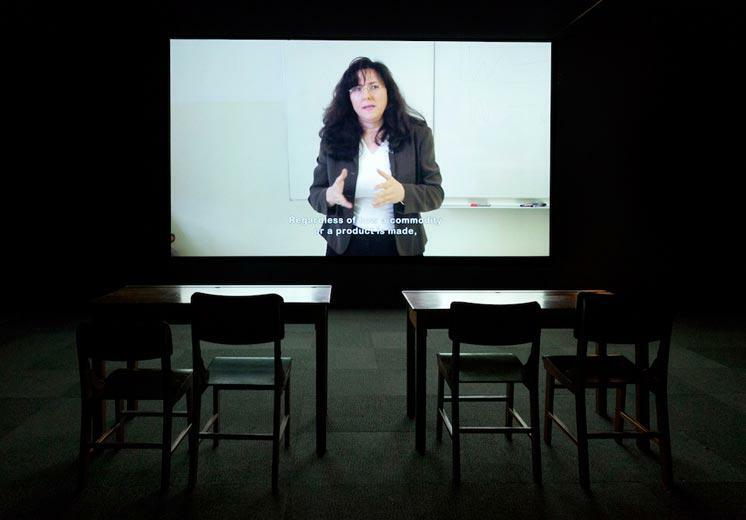 The latter video functions essentially as a lesson in Marxism via the documentation of a university seminar on the topic, and a discussion with the lecturer, who herself embraced the transition from Socialism to Capitalism but in hindsight has reservations of the ideology under which she presently lives. 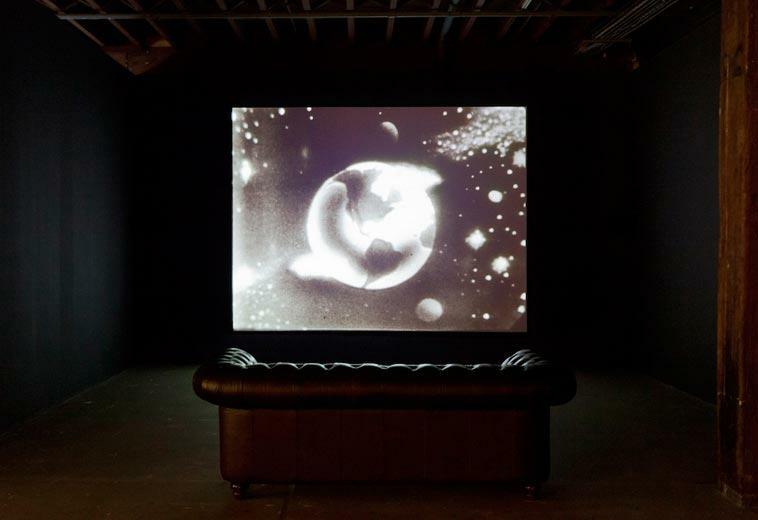 Speaking of contemporary times, too, is the series of films titled Gravity Hill Newsreels (2011-12) by New York-based filmmaker Jem Cohen. This poetic documentation of aspects of Occupy Wall Street (OWS) provides observational insight into an historical moment without directing how it should be interpreted, pinning it down as an example of any one ideology, nor proposing OWS as a model for how protest should or should not be done. Rather the films were made as Cohen himself explored and observed - perhaps with surprise, it sometimes seems - the interactions, contradictions, unpredictability and beauty that this sudden uprising constituted. Consequently, as the title suggests, these images function more in a register of journalism than art per se (though they are reducible to neither). Everything Falls Apart is an incisive take on the complexities of political systems and ideologies and the various ways artists are considering recent and not-so-recent histories in light of the current situation. The message coming from Artspace at the moment is that they are certainly not pretending to provide a solution to our conundrum, but are definitely pushing hard to interrogate, inform and be somehow agonistic, to take a stance and say ‘no’ - in a moment where, at least in this Biennale environment, there is a bit too much head-nodding going on. Part II opens 10 August and runs through 16 September 2012.